Your eyes can give you a hint as to what delights await your taste buds when you put a handful of this crouching tiger mix in your mouth. You'll be treated to a sensational mix of sweetness mixed in with earthy, nutty flavors. The diverse textures are just one feature that makes this mix so unique and enjoyable. Rice, Green Peas, Soybeans, Sunflower Kernels, Pumpkin Kernels, Peanuts, Sesame Sticks. Another 5 star winner. Great flavors with some crunch too. Not too spicy, just right. Makes a great snack in front of the TV or to travel with. I love all the crunch in this mix! It has a mild Asian-spicy flavor, and, as others have said, “not too hot”. I like it as a (healthy) alternative to potato chips and popcorn. I love the simple ingredients list. Really nice taste. Just what is needed for a light and quick snack. I’d enjoy a bit of cayenne in the mix. Great flavors with not too much spice. This snack is so awesome I’m going to buy double next time! This is a great snack. Crunchy and spicy, but not too hot. Everyone in the family loves it so always on reorder. Not too hot. Just right. Good mix. Crouching tiger mix rules. Different from the rest of the things here. You should get a bag to deviate from the nuts. this stuff is awesome. Excellent flavor and textures make this one of my favorite mixes! 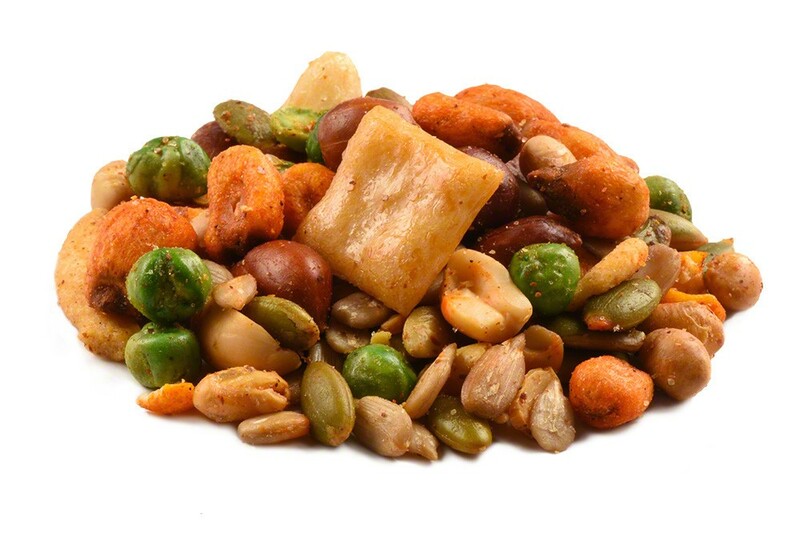 This mixture is crunchy and delicious. I pack a snack bag for the road and keep me from unhealthy snacks. This is a very unique mixture. It has a spiciness to it, but not overpowering. It’s a nice alternative to the sweet and salty varieties of mix. 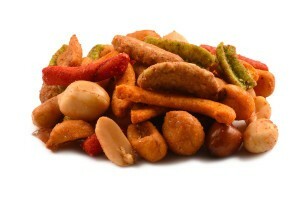 An excellent snack food..Always fresh and crunchy. Great mixture of Asian snacks. This is really good to snack on or with a meal,i use it both ways,the hard part is keeping my wife away from it,next time i will order more,and i like the fact that you can use pay-pal. Really good, loved this mix.